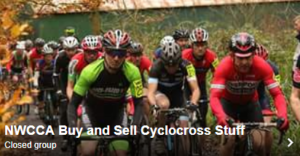 Rob Jebb (Wheelbase) saw a second podium finish at the top level cyclocross in a week as he finished third in the final round of the National Trophy on a muddy but exciting course in the grounds of Derby College. In a repeat of the National Championships podium, Rob fought valiantly but wasn’t there at the final sprint between Nick Craig and Phil Dixon in what turned out to be a war of attrition. Paul Oldham (Hope) topped the NW riders in the overall of the series (5th) followed by Lewis Craven (Wheelbase) (6th), Ian Bibby, (Science in Sport/Trek) (7th) and Jebb (8th), making our region the strongest in the UK ! In the other events, Duncan Stuart (www.keswickbikes.co.uk) finished 13th in the Veterans event, and Roy Hunt, (Science in Sport./Trek) finished second but took the series overall.? Marie Stuart (J), Raleigh/ERV finished 7th in the women’s race.